According to daft.ie, our rented sector can be split into categories: 'movers' and 'stayers'. One of the main reason people choose not to move regularly is if rents are rising rapidly in the market and there is a lack of availability, even if the accommodation they are in is not 100% suited to their needs. The former Minister for Housing Simon Coveney brought in Rent Pressure Zones (RPZs) in reaction to the increasing market rents, which came into effect in December 2016. This means that rent increases in these areas can be capped at 4% annually, and is seen as another reason why the amount of stayers has risen significantly. Stated in the Daft.ie rent price report for Q1 of 2017: "Since 2013, market rents nationally have risen by just over 50%. However, sitting rents have increased by just 27%. In other words, those who have stayed in the same lease have enjoyed a discount relative to market rents, with rents increasing by just half the increase seen on the market." Sitting tenants now enjoy not only a discount relative to the market rent, but also protection of that lower rent into the future. Meanwhile, movers in the private rented sector face not only far higher rents but almost no availability in the market." At a recent off-site strategy meeting with the now Minister for Housing Eamonn Murphy, it was suggested that a new city be formed in the midlands to help with the "choke" on Dublin. However, while the capital remains the most expensive place to rent, prices across the country have also seen increases but with varying degrees. Figures from Daft.ie, show that in Dublin, rents are now an average of 15.4% above their previous peak while in Cork and Galway cities, rents are 9.7% and 17.8% above levels recorded nine years ago. Outside the cities, the average rent is 3% above its previous peak. In the three of the counties closest to Dublin - Meath, Kildare and Louth - rents have increased by more than 60% since 2012, which is to be expected considering a lot of people have turned to commuting from further distances in order to be able to find accommodation and affordable rent. All three cities in Munster saw their rents increase by at least 10% in the year, as did Waterford, Cork and Clare counties. However, fewer than 800 homes were available to rent in Munster on May 1st, a decrease of almost 100 on the same date a year earlier. In fact, Ronan Lyons from Daft.ie reported that there were "fewer than 3,100 properties available to rent nationwide on May 1st compared to 4,000 three months previously." 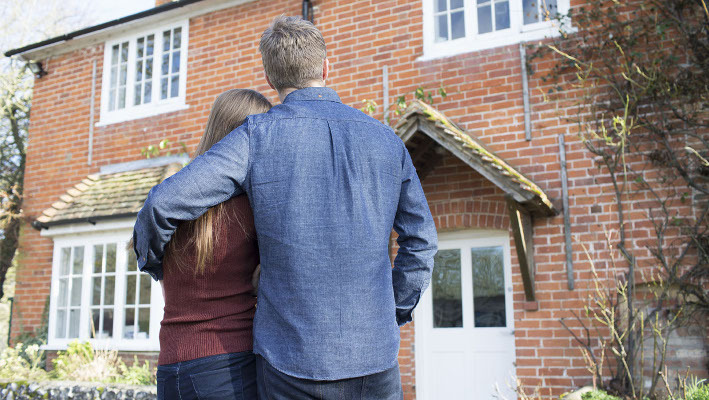 With a concerning fluctuation in the number of houses available, for sale or let, the importance of protection for generation rent is crucially important. The rental market is an added pressure in itself for renters, leaving them vulnerable in many ways. But how would they cope if, for example, they became ill and couldn't pay the rent? Regardless of your living arrangements, a life insurance plan can be used to protect you and your family from financial strain should you become ill and are unable to provide for them. There is no reason why as renters, you can't have similar financial protection to mortgage holders. To find out more about the right protection plan for you visit Zurich Life or speak to a financial broker.